Apple stock has fallen a lot since its $700+ peak around September. At a certain period of time it was down to $525, the lowest it’s been since early this year. 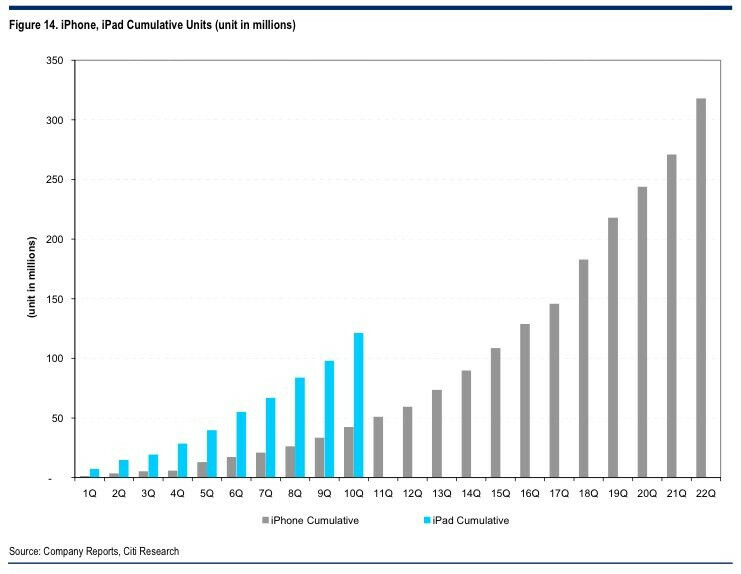 And if you bought stock at that low price, you don’t need to worry - CITI analysts expect Apple to grow quoting the nascent and growing tablet market, and the expected continuous growth in smartphones. Moreover, as we’ve previously seen, the pullback has happened before in the near past and Apple has always rebounded by 20% to 50%, stronger than earlier. However, admittedly, there are some risks as with all stocks and tech companies in general. Low and mid-range smartphones are growing fast in both sales and specifications. As for the estimates the lead to the call, they write: "Our target price for Apple is $675, based on the implied multiples derived from growth and value regressions of a sample of large cap technology companies. We believe our methodology reflects the multiples investors ascribe to large cap technology companies. We have found the market is paying an FY2 earnings multiple of 7.23x (Sales Growth %) + 12.51 and price-to-book multiple of -0.058x (ROE) + 4.351. For Apple, our FY2014 sales growth estimate of 17.0% yields an implied P/FY2 earnings multiple of 13.74x. We multiply our FY2014 GAAP EPS estimate of $58.99 by the growth multiple for an implied share price of $810. Our FY2014 ROE estimate of 28.72% yields an implied P/BV 2.69x. We multiply our FY2014 tangible BV/share estimate of $199.76 by the value multiple for an implied share price of $537. We equally weigh our growth and value implied targets to derive an initial target of $674, which we round to $675. The implied multiples, based on our FY14 EPS/book value estimates are 11.4x FY14 EPS of $58.99 and 3.4x FY14 ending book value of $199.76. This compares to the S&P 500’s multiples of 12.4x earnings and 2.1x book value." I'd buy whole Apple to make Apple Pies! I highly doubt its the right time to buy Apple stock...as a matter of fact I think its not gonna be a good time to buy Apple stock anytime before 2014 the year when they'll lainch iPhone 6...but then again maybe it wont be a good time to buy even then ever! like you can buy the stocks of any other company..
Apple is possiblyin its "B" wave as I reported the last article written by P.A. where I said Apple will probably test lower 500.00's and it caught support at 505.00. Apple will try to test 700.00 highs and those trapped at that top will dump sending Apple into its C wave. Then you foolish buyers listening to "Scammers" like Citi trying to unload it shares to unsuspecting buyers looking for dip waves at a 5th wave top. Remember I predicted the Elliot wave article was completely correct, and that P.A. has no clue....and they still don't. Phenomfaz is absolutely correct. I can post a "real" technical chart with the wave count for Apple for anyone wanting to invest. You don't want to be in Apple or in tech 2013, and should be defensive in the stock market going into 2013, and definitely by the end of the 1st quarter! So your willing to stake your reputation on that? I see apple shares rebounding by at 10%+ from todays price in the next 6 months. Meet you back here for your explanation when I'm proved right mr consultant!! I was correct Mr. big mouth but I have not heard from you I have led Elliot wave classes in a real trading group on Ihub....Investors Hub for the lame BTW Just Google me on there or Twitter. Apple did just as I said period....my rep in the groups that I go to, and have lead will vouch for my credibility. You can ask me about "ANY" stock and I will tell you its technical fate and be 100%.....I bet my rep on it! what other news? did i miss something? Your obviously living in a dream world! Yeah, listen to the commenters on PhoneArena, they're much more well-versed in financial planning than everyone whose actual job it is. Sorry but in my experience a lot of these analysts are quite off the mark. I've made a nice chunk of change playing the stock market so I know what I'm doing. Last time I listened to an adviser or analyst I ended up losing money. If you had a clue you would not make such a lame statement. I bet you don't know jack about how the stock market works, but you offer your .02 cents like it's golden. I have lead investor discussions, and can chart any stock that you post with a chart and be extremely accurate. Anyone that checks can tell you the last 3 P.A. articles about Apple I have been spot on in my calls! You on the other hand should pay close attention, or you will get burned listening to the pump and dump analyst. Better yet go investigate wave 5 tops in the stock market! WendyGarett you are smarter than you lead on to be, and you are absolutely correct. Talk to any fellow investors and they all will say this. This has nothing to do with love or hate for Apple. In fact the Apple lovers will foolishly buy out of admiration and lack of knowledge of how the stock trades and get burned. Check my last 3 post on Apple and you will see that I was right every time. The last article some one said that it was time to dip buy and I told him if he did he would get burned. Apple was in the 590's-600's then when I predicted a probable 525 or lower. I said it better hold 517.00 the last low and it breached before bouncing back. Had it failed 505-517.00 485.00 would have been the next true support area. As a correction to P.A. the charts say it went as low as 505.00 o.k! 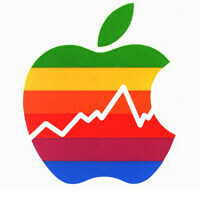 I've taken the time to read all the numbers and stats' and iPass; Apple stock will be worthless in two years. WendyGarrett, what's up with the foul lingo'? (we know that's you). Why that's just plain RUUUDE!! BTW, Happy Cocksuckin' Birthday! Tim cook has a lot to prove at its current selling price and so far he has screw things up by late OS update, buggy map launch, fire two of his executive that Jobs manage to use their true potential. Number One issue, no innovative product for the last 18 months. iPad mini not counted as its an idea stolen from zillons 7" android devices especially the original galaxy tab 7, P1000 launch on Sep 2010, two years ahead of iPad mini. Bought Nokia at $2.50 and already made 40% in a week. Apple would have to go to $750 for that, good luck. The replies above show just how ignorant android lover's are. You buy stocks to make money. Not because you like the product. I made money on Phillip Morris stock, but I nevered smoked. Wow. You android lover's are dumb. In order to make any significant return on stocks, you would have to purchase a good amount of shares with assured great increases. At Apple's current price, an individual would already need to have a significant amount of cash to invest and even then, Apple's stock would have to more than double to compensate the investment unless it was bought when offered several years ago. Apple is currently vulnerable and I do not trust the analyst's opinion. John B.